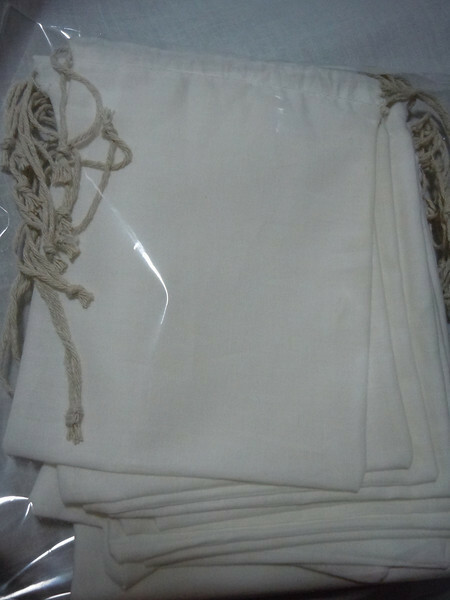 3 1/2" x 5 1/4" of Sew Essentials Unbleached Muslin made of 100% Cotton. 18 bags can be found in this set. $6 for this set.